Usually the spider most often encountered indoors is the common house spider. This pest is a nuisance, more because of its webs than the spider itself. This spider is found worldwide and is common throughout the United States and Canada. 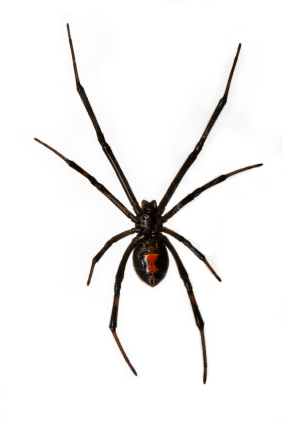 More dangerous spiders, such as the Black Widow, Brown Widow and Desert Recluse are also common in San Diego County. Upon spotting one of these spiders, we recommend you call us immediately. Their bites can cause serious issues so approaching or removing them is not something you should do if you are not trained to do so. We recommend that you avoid putting your hand into dark holes, under the bed or couches without looking first or in piles of wood where you may not be able to see them. Also, use caution when using towels or putting on shoes, gloves or boots. It is always best to err on the side of caution when encountering any of the spiders commonly found in San Diego County since some can be dangerous. Call Achieve Pest Management if you do come across one and let us keep you and your home safe.